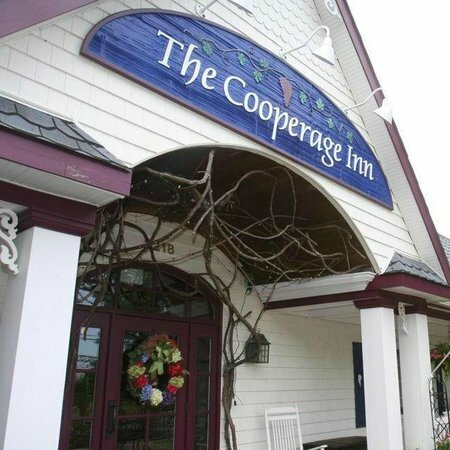 Several customers have asked how we came upon the name, “The Cooperage Inn”. The craft of Coopering goes back a few centuries when it was the major method of packaging so many things both wet and dry. We are located near the Long Island Wine Region. Wine makers have always relied on the skills of the Village Cooper to store and age their wines. Located on the “scenic route” along the north shore to Orient Point. This road is also the main route from the Orient Point Ferry and the vineyards of the North Fork area. Country farms, vineyards, farm stands and several golf courses are the lure on this favorite Tourist Trail. The restaurant is 3.5 miles from the Long Island Expressway and convenient to Tanger Outlet Mall, a destination for many shoppers. This charming country spot has quickly become a favorite of the growing local community. It attracts increasing numbers of weekend diners who make their way to the rural surrounds. The Cooperage Inn takes great pride in serving the freshest fish, meats and local produce available. Sauces are expertly prepared on premises by our chefs. For the health conscious most of our dishes can be prepared with low fat and low salt. The Inn’s extensive brunch buffet features an omelet chef, eight hot chafing dish selections, freshly squeezed juice plus a complimentary Bloody Mary or Mimosa.